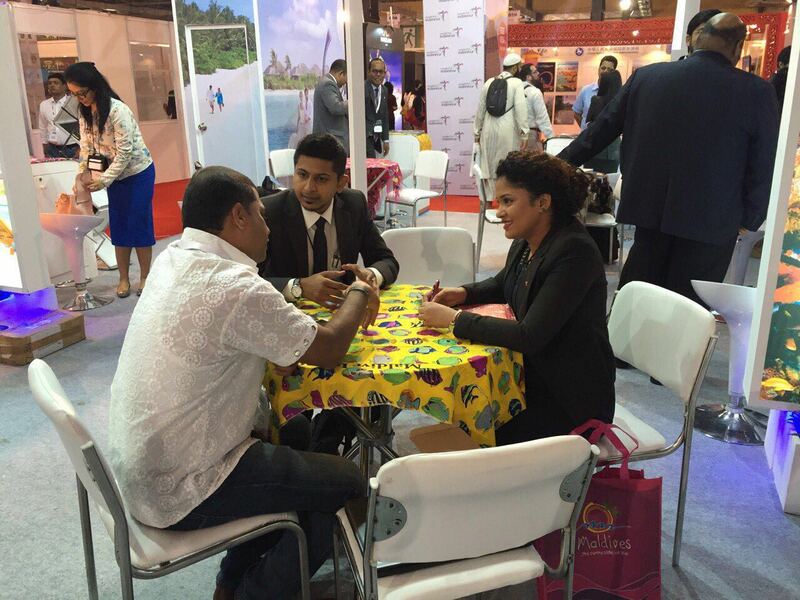 Maldives Marketing & Public Relations Corporation together with the tourism industry is currently taking part in the OneWorld Travel Mart 2016, which takes place in Mumbai, India from 18th – 20th February 2016. 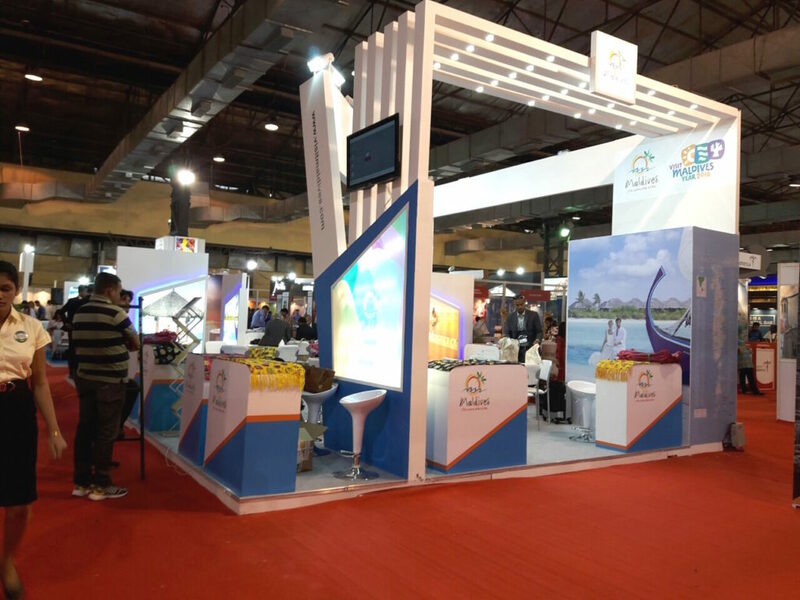 The exhibition is the most prominent and leading travel trade show of India, and is conducted in the largest travel market of India, Mumbai, at the Bombay Convention Centre. 26 participants from 15 industry co-exhibitor companies are taking part alongside MMPRC in the fair. Organized and run by TTF, the most trusted market leader in India formed in 1989, OTM has become the best platform to focus on outbound tourism in India. 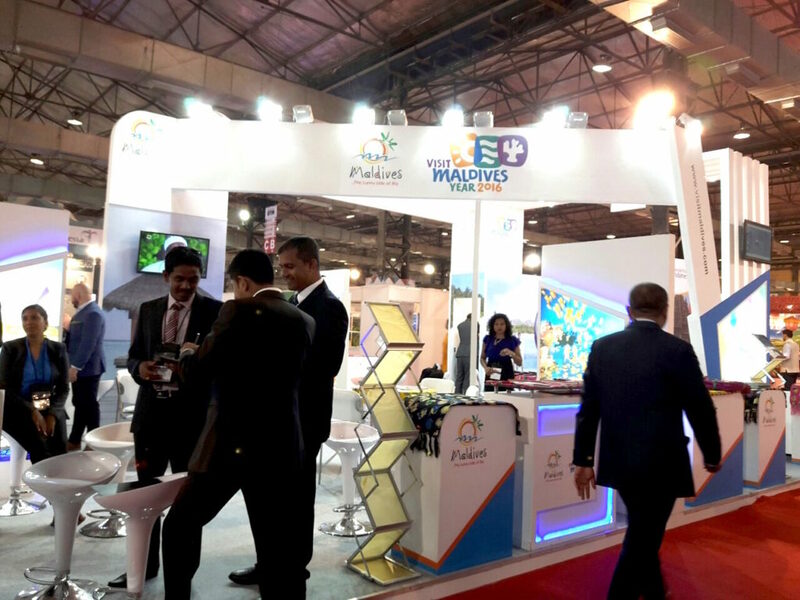 More than 2,500 hotels, resorts, travel agents, tour operators and other travel service providers, state and country pavilions from around 70 different countries will take part in OTM 2016, which is the most alluring travel trade event that is organized and held in India. 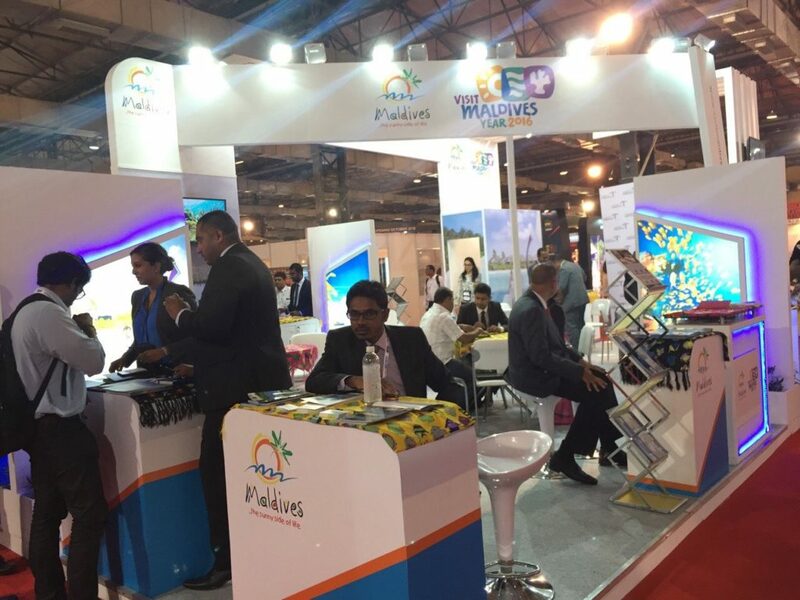 This year the exhibition will be spread over 25,000 sqm, housing the fairground which is expected to be visited by more than 12,000 travel trade visitors from all over India and abroad. Maldives will be showcased in a stand space of 60 sqm designed to portray the uniqueness of the destination with very bold and alluring photos of holiday resort islands. 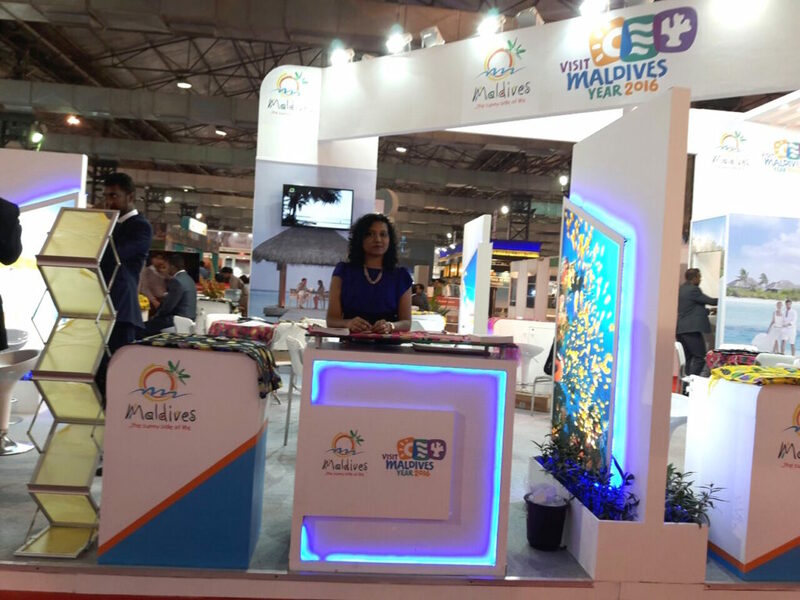 More advertising such as billboards at the entry, pillar wrapping, lanyard design of exhibition badges and the show carry bags will be displaying and promoting the Visit Maldives Year 2016 campaign. OTM is the most effective platform to market to the Indian travel industry as it caters to over 15 million outbound travellers spending over US$ 10 billion in India. As Mumbai is the biggest outbound tourist market in India, the city contributes over half of all overseas travel from the country. India currently holds the 5th biggest market share of the arrivals. Taking this place in November 2015, India has a recorded figure of 52,368 tourists who visited in the year 2015. This figure is a 14.9% growth compared to the arrival number recorded in the year 2014. The Indian market accounted to 4.2% of the market in 2015, and is a very important market to focus on as it promises a lot of potential.